A feeling of panic prevails when heels get damaged. To avoid the kind of anguish, we are here presenting the flawless repairing service of your heels. We use high quality material to replacing damaged parts to linger the beauty of the heels. 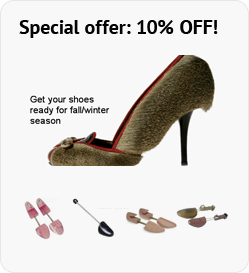 Many issues arise with high heels and we possess solutions for each one and the same will be served at perfection. We make heels smaller and bigger depending on your requirement. Come to us and pin up the relevant service that you are looking for. Our team of experts have decades of experience in fixing and repairing heels. We fix broken heels, alter heels by making it smaller or bigger by a size, etc. User-friendly approach with machine-friendly service turn to a great combination as we have hands on how to make heels bigger by one size which is a general solution for many pairs of heels. Our services are well preferred by the people of NYC as we have been offering these services at our Shoe Hospital for many decades. It’s a one stop solution for all your shoe, boots, leather, bags repair. Our team of experts can make heels size smaller and make it more comfortable to wear. However we also can increase the height of your heels by a size or two. Replacing heels and soles for used shoes is also done here with high precision. We use the best in industry tools and solvents to fix and repair heels. We understand the importance of a comfortable pair of footwear. If your heels are making you feel uncomfortable while walking it is necessary to get it repaired at the earliest to avoid leg and back pain. We service and alter any shoe brands perfectly like the company does. Our team of experts has a lot of experience in fixing heels and shoes of any brands. Reinstallation of heel to make heels size bigger can be done here. Decades of experience in mending the shoes to the right size puts us forth in serving the residents of Brooklyn, NYC. Buy whichever pair you love since our support pats you to make them fit in any way.